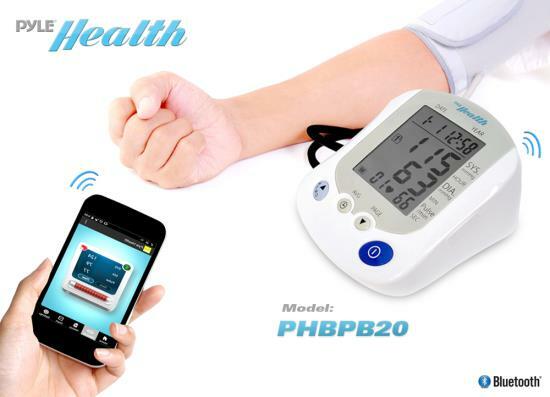 Quickly and easily monitor your blood pressure with the Pyle Health PHBPB20 Blood Pressure Monitor. Simple one touch inflation and measuring can change the way you are able to monitor your blood pressure. 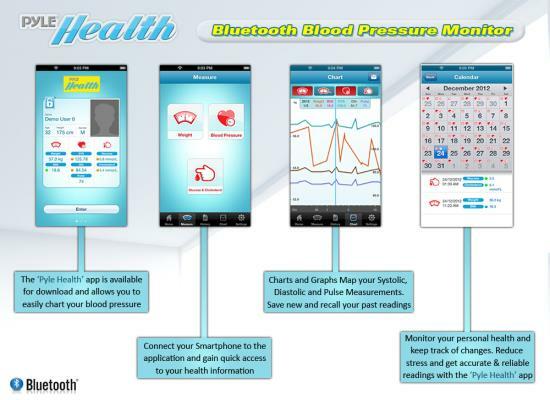 Download the free ‘Pyle Health’ Application and you’ll be able to wirelessly transfer your data. 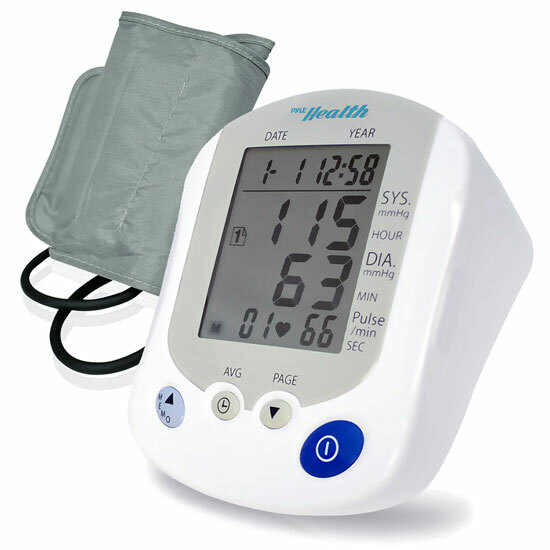 Create a profile and use the integrated calendar to chart, graph and even retrieve your history of blood pressure readings. 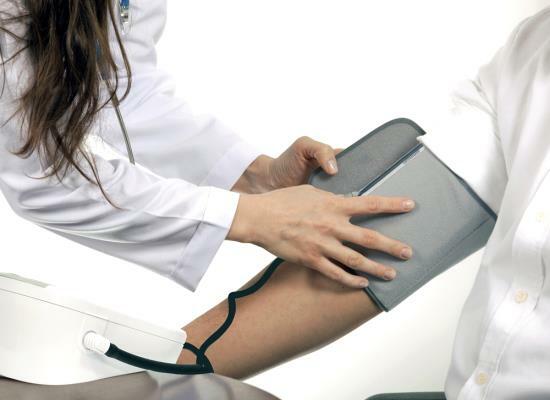 You can even choose to share your results via the Internet – or password protect your profile and keep it confidential. 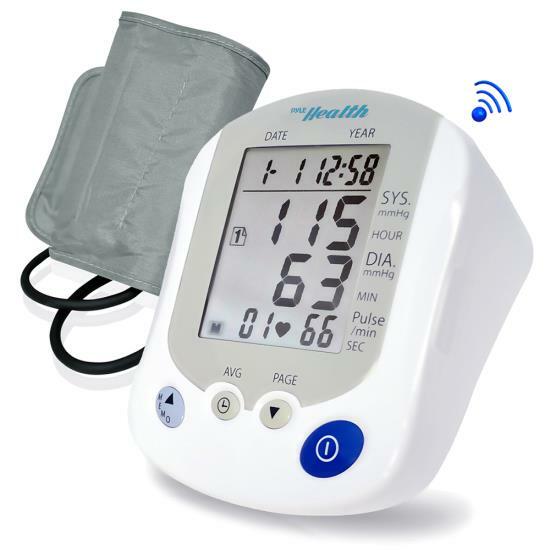 The Bluetooth SMART Blood Pressure Monitor communicates with your Smartphone to digitally keep track of systolic and diastolic pressure values combined with heart rate. 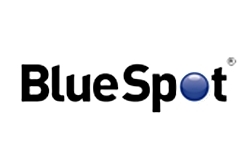 Application supports iPhones 4S or later, Newer iPads, iPad Mini and iPod Nano & iPod Touch (Works with iOS 6 & Later) and also supports Android, Samsung Galaxy S4, Note 2, Note 3, HTC 1, Nexus 5 and 7 (Compatible Works with Android 4.3).